This past Sunday we showed a video in church called It’s Friday, But Sunday’s Coming. You’ve probably seen the video or heard a similar message somewhere around Easter time. I love the thought because it’s true and it’s about hope. Resurrection is always preceded by death. The empty tomb comes only after the cross. So we should live every day knowing that when we face the dark times of life, there is always light at the end of the tunnel. It may be Friday, but Sunday is coming. But as I sat there watching the video and listening to those words, it felt incomplete. During Holy Week — this last week of Lent leading up to Easter Sunday — much of the focus is on Friday. We meditate on the trial, torture and death of Jesus on the cross. Friday is vital to the story. On Easter we rejoice in the joy of the resurrection. We talk about he defeat of death and the celebration of new beginnings. Sunday is always the climax of the story. We don’t talk about Saturday. Which is understandable because it’s not as if Scripture gives us much detail. There are hints of Jesus descending to the grave to preach to the dead (1 Peter 3), but that’s pretty cryptic, honestly. We don’t get much info on what the disciples were doing during that time. I get the idea there was a lot of sitting around and waiting. There was likely doubt and depression. There had to be questions waiting for answers. We don’t talk much about Saturday because we just don’t know much about it. But my life often feels a lot like Saturday. We may not talk much about Saturday, but we live there often. But that’s ok. Because Saturday is valuable. Psychologists talk about his thing called liminal space. It’s that space between the world as it was and the world as it will be. It’s the place where boundaries dissolve and we are available to be changed and molded. 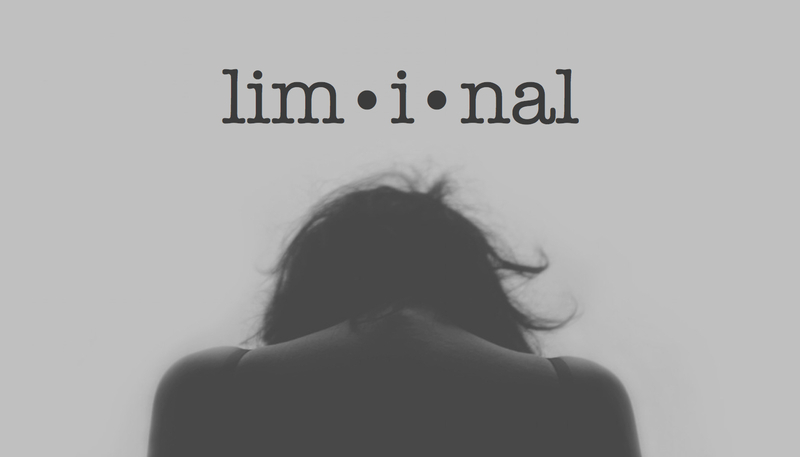 The word liminal comes from a Latin word that means “threshold.” It is the transition place where we wait, where things are not known. It’s the Saturday of life. And it has tremendous potential for us. [Liminal space is] a unique spiritual position where human beings hate to be but where the biblical God is always leading them. It is when you have left the tried and true, but have not yet been able to replace it with anything else. It is when you are finally out of the way. It is when you are between your old comfort zone and any possible new answer. If you are not trained in how to hold anxiety, how to live with ambiguity, how to entrust and wait, you will run…anything to flee this terrible cloud of unknowing. Liminal space is vital because we don’t change without it. It is the place where we consider the possibilities, where new realities are dreamed about. It is the space where we are molded and formed into a new creation. The power of Sunday can’t be totally embraced without the waiting and doubt of Saturday. Resurrection is made real by diving into the immensity of doubt and fear and darkness that life throws at us. This is the essence of the Lenten season. Instead of running away, embrace it. Because yes, Sunday is coming. Dive in. Embrace the Saturday. Because this is where change happens. This is where molding occurs. This is where God does his best work. This entry was posted in Lent and tagged Change, Easter, Lent, Liminal space, Richard Rohr, Saturday. Bookmark the permalink.